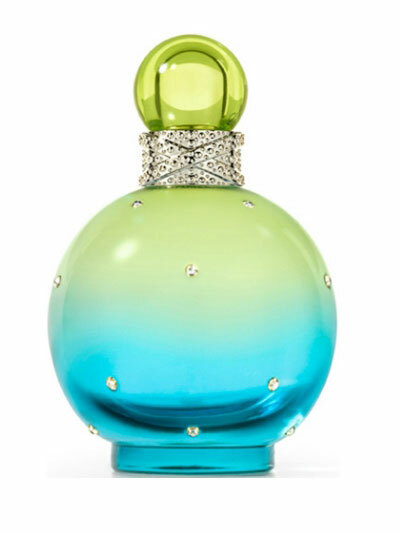 Britney Spears launched her new fragrance named Island Fantasy in April 2013. The fragrance belongs to the popular line of sweet perfumes. The line includes the original Fantasy from 2005 Midnight Fantasy from 2006 Hidden Fantasy from 2008 and Circus Fantasy from 2009.The scent is announced as a tropical island getaway made of floral and fruity aromas. It opens with a cocktail of citruses mandarin clementine red berries and watermelon. Flowers of jasmine violet and freesia exceed the lower notes of musk and sugar cane.